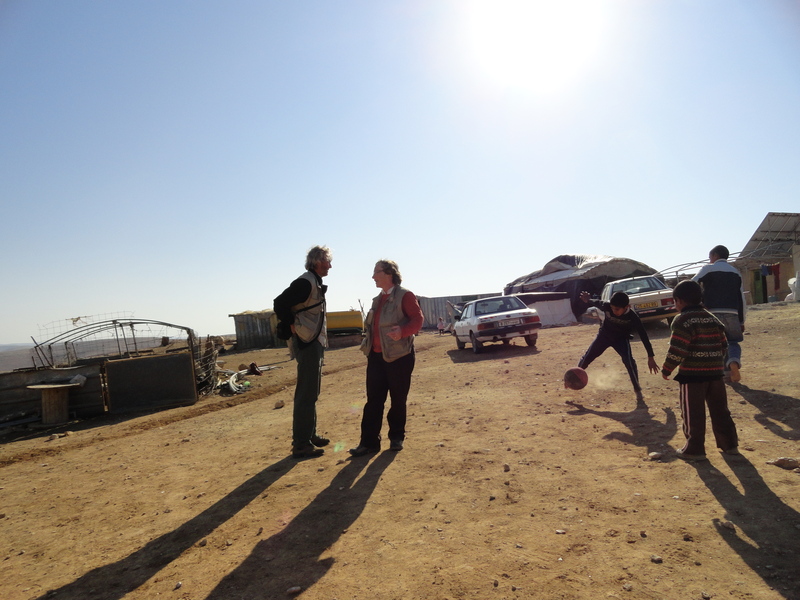 This past week I received an email from Operative Dove, an Italian peace group that works in the South Hebron Hills, telling us that the village of Um al Kher is now under greater threat of demolition. The village is deemed illegal by the Israeli’s and is now at risk of being totally demolished, despite the fact that it sits on land that was purchased by the villager’s forefathers in the early 1950’s (after they were pushed off their original homeland). We visited this village several times while in Palestine and there are a number of references to it on earlier blog posts. The villagers are kind, humble peasants seeking to live in peace, and to do so nonviolently. I learned many important life lessons from them and count them as dear friends. At-Tuwani – On January 8th, the DCO delivered stop working orders to 8 infrastructures in the Palestinian village of Umm Al Kheer. In the morning the Israeli Civil Administration, escorted by an Israeli army jeep, entered the Palestinian village of Umm Al Kheer. After examining different buildings, the officers registered the identity of the owners of eight structures and then issued stop working orders. Among the identified structures, there is also the fencing of the football field built on December 30th by Palestinians in cooperation with an Israeli group. At that time Israeli authorities gave a verbal permission to the construction. The deadline to appeal to Israeli High Court is fixed on January 22nd. In case of failure of any appeal, the stop working orders will be followed by demolition orders. The inhabitants of Umm Al Kheer said that 12 more structures in the village are under demolition orders (eight of which are dwellings) for a total of 20 structures. That means that most of the village risks to be eliminated in the next future. Two of the families received the stop working order for the houses that they are building to replace the old ones, demolished on the 8th of September 2011 (see Press release at: http://goo.gl/GekGM ). Umm Al Kheer is a Bedouin village in area C (under Israeli civil and military administration) built in 1948. It’s located close to the Israeli settlement of Karmel established during the beginning of the ’80s and expanded in the recent years. 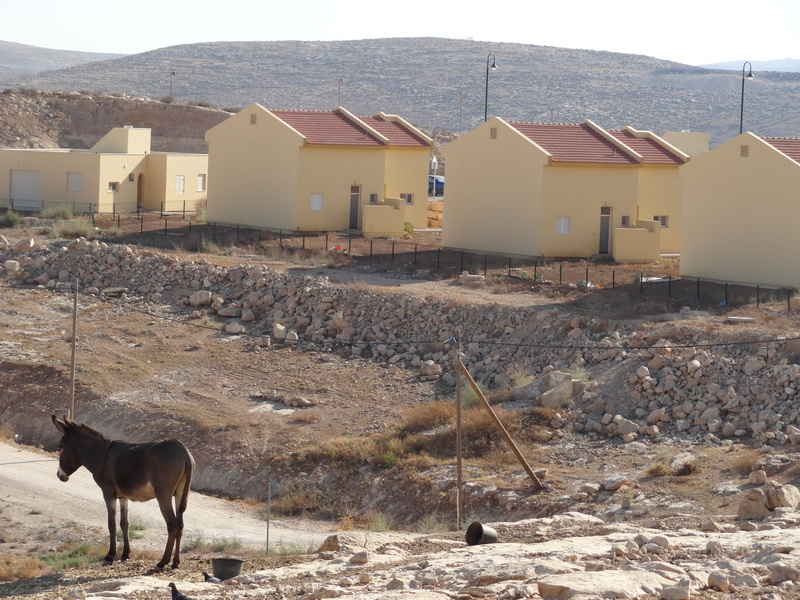 The village routinely experiences harassment from Israeli settlers and military. The last events are part of a planned strategy to expel the Bedouin community in order to permit a further expansion of the settlement of Karmel. In October 2008 the Israeli army demolished ten house-tents. The demolitions left 60 people homeless. In July 2009 some toilets were destroyed too. On September 8th 2011 three houses and one toilet were demolished. As I read this email containing such horrible news, I thought of my friends…. of Eid and his wife and children, of his sister Iman, of their parents and sisters and their other family. I thought of the children I played football with only weeks ago. Myself and my teammate Matti (Finland), taking a break while the football game carries on at Um al Kher. Those barefooted kids could sure do wonders with the football! And the boy who was having fun with my camera took some great photos! I thought of the wonderful hospitality the villager’s had shown us….and of the meal we had shared on our last visit. I thought of the oppression they live under, and the toll that this oppression is taking on their lives. 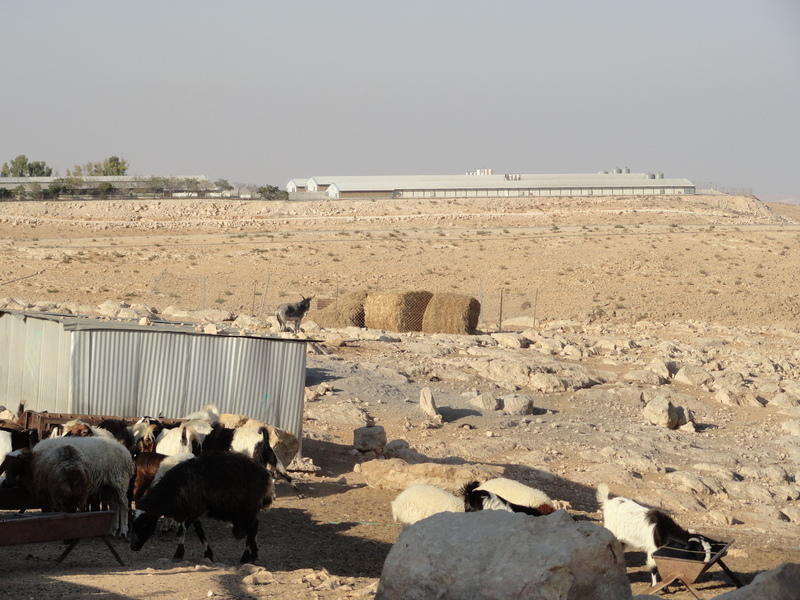 I thought of my sense of horror as I stood in the village and looked over at the industrial chicken barns in the neighbouring Karmel settlement and thought of all that they stand for, and how so often water goes to the chickens but is denied to the people of Um al Kher. view from Um al Kher with Karmel settlement industrial chicken barns in the background.. 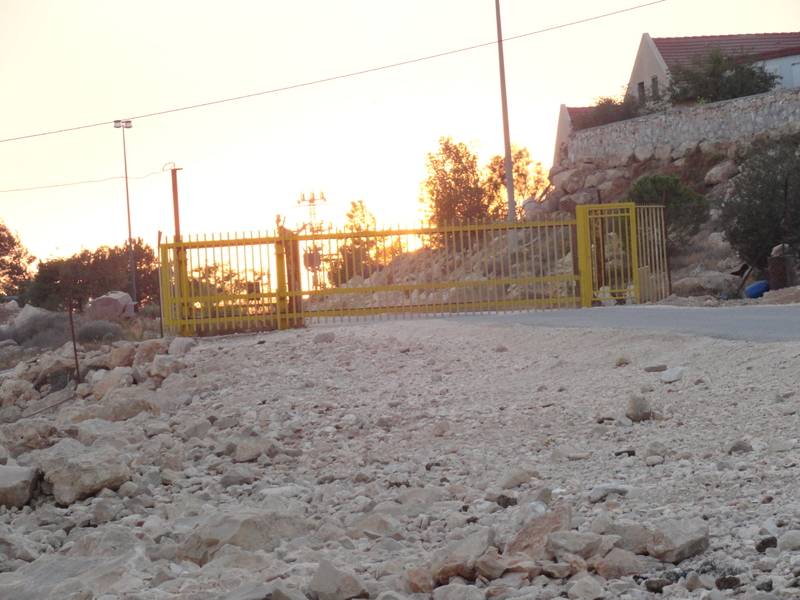 The locked gate to the Karmel settlement. It is illegal for Palestinians to enter an Israeli settlement unless they have a work permit. And I thought of the villagers strong and firm resolve to seek peace and to live nonviolently, even in the face of strong Israeli aggression and violence towards them. Our world is a very broken place….. The injustice of this is beyond comprehension….. The cruelty of this is beyond comprehension….. 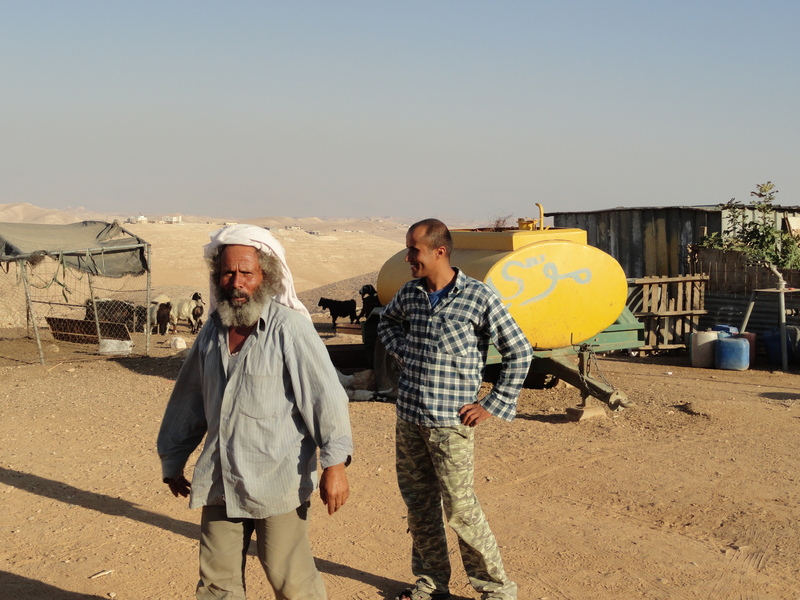 The village of Um al Kher is denied access to basic services such as electricity (available to the Karmel settlement only metres from the village) and consistent water (the water pipe passes through the Karmel settlement and the supply is frequently cut off by the settlers). Think about this for a moment. The village is located IN PALESTINE!!! (NOT IN ISRAEL!!!) Israeli’s are granted these services at reduced rates to those charged in Israel. But Palestinians cannot even access them, IN PALESTINE!!!. Land has been taken from them for the settlement, leaving less and less grazing land for the villagers sheep – quite a significant blow, given that sheep herding is their primary source of income. Villagers endure harassment from both the settlers and the army. Weeks ago, youth from the settlement destroyed some of the villager’s olive and nut trees planted in the valley and attempted to gain access to the village water cistern. They were driven away by villagers (cistern poisoning (eg dropping a dead chicken into the cistern) has happened to themselves and other villages in the past). When villagers called the police to report the vandalism, the police hung up because they recognized it was Palestinians who were calling. This happened for three consecutive calls. And of course, there have been other demolitions….the most recent being two houses and a community toilet that the army destroyed this past September. And now…..after having endured so much…..now there is the very real threat of further demolitions…..demolitions that will wipe out the entire village. These are wonderful, beautiful people who only want to live their lives in peace. Our world is indeed a very broken place….. I commit to working towards an end to this Occupation, and I invite each reader to do their part. Tell the story of Um al Kher. Get the word out there. The world must eventually stand up and demand an end to the horrible injustices the state of Israel is perpetrating against innocent civilians – against vulnerable and oppressed people who only seek peace. Political leaders the world over eventually respond to public pressure. Let’s give it to them!